The Internet Society Pakistan Islamabad Chapter has played a pivotal role in conducting the 4th edition of The Pakistan School on Internet Governance 2018 (pkSIG), the first national school in Asia Pacific region. 55 participants attended a four day intensive learning course at the Regent Plaza Hotel in Karachi from 3-6 September 2018, covering the political, legal, economic, socio-cultural, and technological dimensions of Internet Governance within the context of the Pakistani national imperatives. The program included theoretical sessions, role play, and participant engagement activities. One of the objectives of the seminar was to develop a shared understanding of youth participation in Internet Governance by building expertise through the alumni of the school. A fellowship opportunity was offered to young applicants from the Sindh and Baluchistan provinces who presented a strong motivation to continue to work locally on IG issues after the pkSIG. 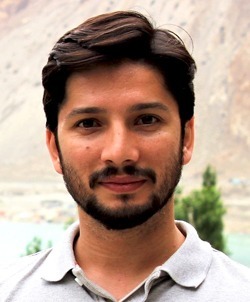 The involvement of students and young professionals, like the ICT engineer Sohaib Bukhari, is a successful example of meaningful participation in the shaping of the Internet. They are the generation that has been using the Internet since they were children, they are the ones who will be using it for the next 50 years. Sohaib was thrilled to have an open dialogue with the key stakeholders, while gaining access to comprehensive and structured knowledge on various aspects of the Internet Governance. How did Internet Governance become a special interest to you? How did you end up attending the pkSIG? “Some time ago, I was selected for an online course on Internet Governance which I completed reaching one of the top positions. Then, one morning I got a call from the Internet Society Pakistan Islamabad Chapter President, and to my surprise I was told that I have been selected to attend the pkSIG 2018 as a fellow and so I ended up in Karachi. Apart from the functions of the different organizations, what did you learn? Did you like how the event was conducted? Which was the most interesting part? We were briefed about the importance of Internet of Things (IoT) security, cybersecurity, Security Operations Centers (SOCs), Computer Emergency Response Team (CERTs), and how Information and Communication Technologies (ICT) can act as an enabler of the Sustainable Development Goals (SDGs), but the legal side was my favorite. We talked about Internet law and policies and discussed both global and local national laws in a very inclusive manner. This made me recognize the importance of a clearly defined legislation and its effective proactive implementation. Did you bring this experience back home? Explore the pkSIG 2018 Lectures & Presentations and watch the Story of the Internet Governance.